Tomato moth, Tuta absoluta (Meyrick) (Lepidoptera: Gelechiidae) is one of the major invasive pests of tomato with a potential to incur 100 % yield losses particularly under tomato grown under polyhouse conditions. 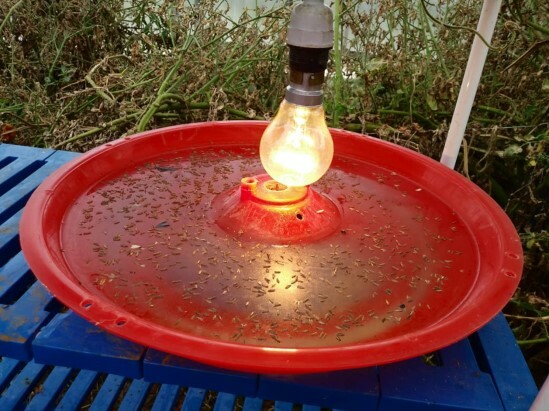 The effective package for the control of Tuta consists of use of incandescent bulb @ one bulb/150 m2 + 1 pheromone trap/300 m2 + need based spray of spinosad 0.25 ml/l/flubendiamide @ 0.20 ml/lin rotationat 3 weeks interval. Coinciding with the peak emergence of the Tuta adults, spray of decamethrin 2.5 EC @ 1 ml/l for killing adults. Light traps are to be kept before transplanting of the crop itself. All the materials required are locally available, farmer friendly, economical & ecologically viable. With this package, number of eggs laid by Tuta was also significantly lower in IPM plots when compared to non-IPM plots (up to 30/leaf in IPM plots as against 0-2 eggs/leaf under IPM conditions). 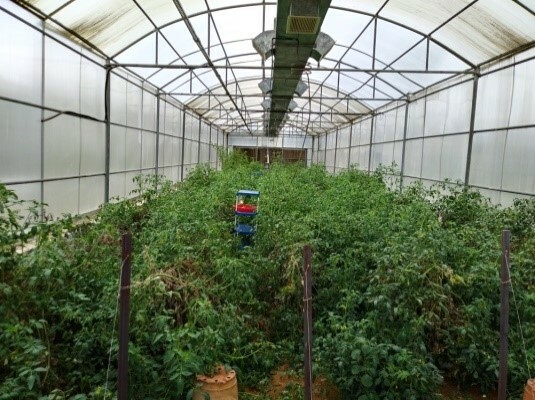 Note (other points to be kept in mind in IPM plots): Light/pheromone traps are to be installed before transplanting of the crop itself for effective pest monitoring and management; remove and destroy the affected plant parts and alternate hosts etc.